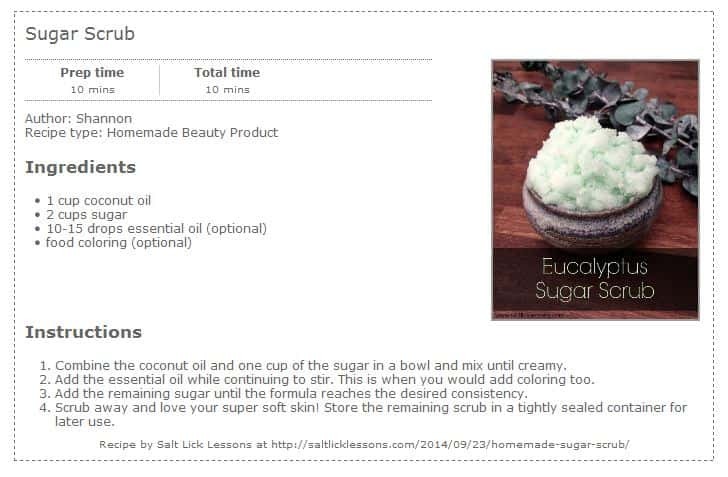 If your feet need a little bit of TLC then this DIY Eucalyptus Sugar Scrub is just the thing. 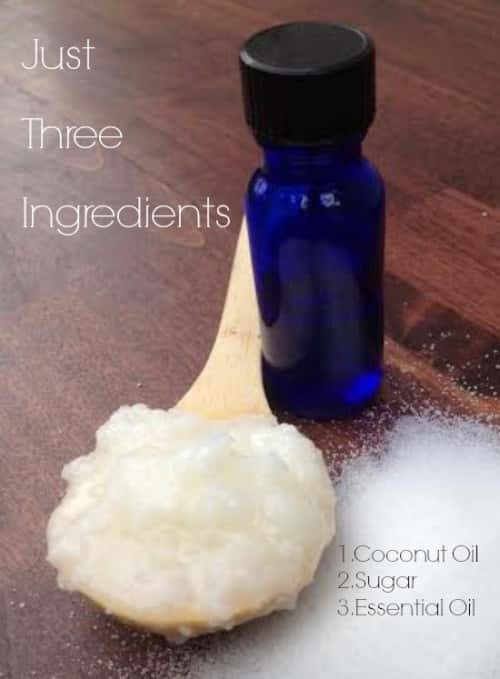 It's very easy to make and there are only three ingredients. A Base Oil such as sunflower oil or coconut oil. >>> If you don't have one you can BUY ONE HERE. An Essential Oil. 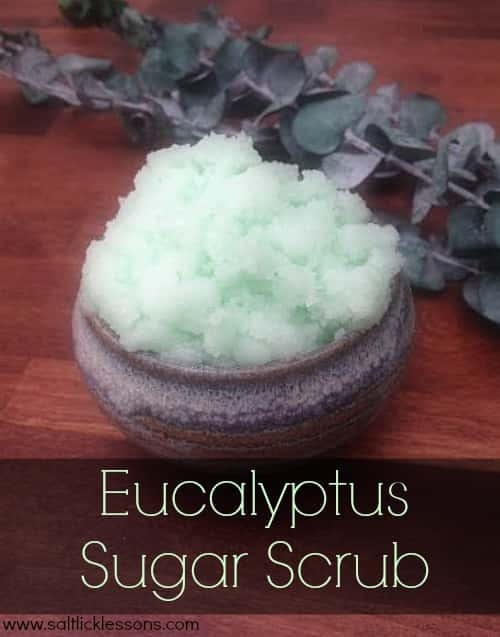 This scrub is made using Eucalyptus essential oil but you can use any oil that you prefer. The method is uncomplicated and requires basic mixing only. It take about 10 minutes to prepare. The scrub can be stored for later use or packed in an airtight jar / container to use as a gift. Click here for a printable copy of the instructions.